Unfortunately, Identity Theft is unfortunately not an “if” question anymore, but a “when is it going to happen” question. 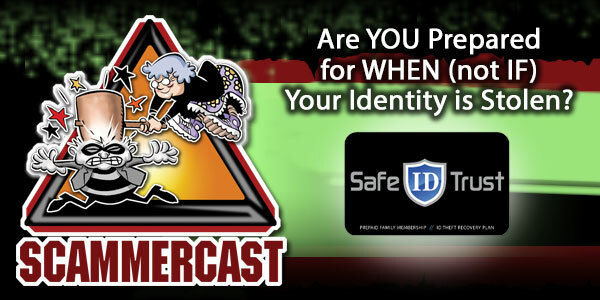 Our friends at Safe ID Trust stop in-studio today to tell us about the peril and certainty of Identity Theft, but also how SafeIDTrust can help to ensure that when it happens – you can ‘trust” that their service doesn’t just help but does the work for you. More educational, vital content that also gets you a special price on unique, well-rounded identity theft protection, thanks to Safe ID Trust.